We had a great stay in Osaka. Nonko's apartment was a very good choise for us with a few minutes walking distance to the Osaka Loop Line. Everything needed was provided. Nonko sent us helpful information before our trip to Osaka and the communication with her was always very friendly. We can recommend! 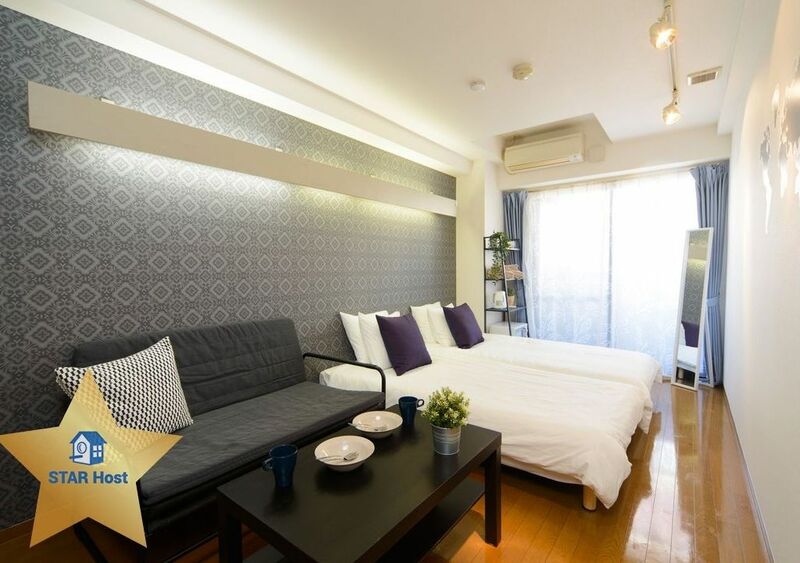 The location of the apartment is great, just 3-5mins walk from Fukuyama(Osaka) station! And it's very convenient as there is super market and 24hours store nearby! The place is very clear! There are clear instructions of the use of every machine! The host is very nice and helpful! She provides a very clear instruction to lead us to the apartment! And she keeps contract with us to make sure that we can comfort and see if we need any help! 唯一美中不足之處是 WIFI 不太好, 常常失效, 我們曽經要求房東更換,可惜到我們退房離開時才收到回覆。因我們行程表丟失了, 要利用wifi 再重新 check 火車班次, 沒有 wifi 搞得我們很狼狽哩。建議若真的利用wifi 的話, 還是自己租 wifi 蛋比較穩妥吧! We were very pleased to stay in there, and apartment equipment meets our needs, thanks.